Axis Mundo: Queer Networks in Chicano L.A. is a part of Pacific Standard Time: LA/LA, a farreaching and ambitious exploration of Latin American and Latino art in dialogue with Los Angeles. 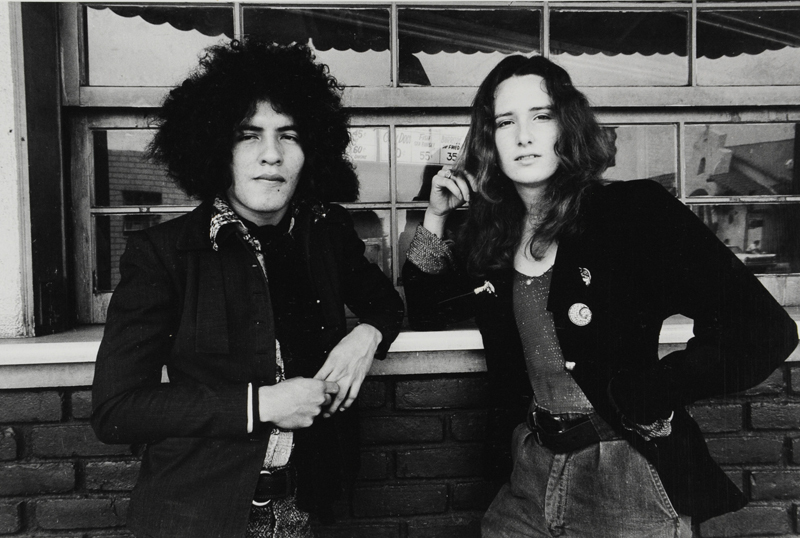 Axis Mundo maps the intersections and collaborations among a network of queer Chicano artists and their artistic collaborators from the late 1960s to the early 1990s. This period was bookended by the Chicano Moratorium, gay liberation, and feminist movements on one end, and the AIDS crisis on the other. For many artists in the exhibition, Axis Mundo marks the first historical examination of their work to date. Over two decades of artwork encompassing painting, performance ephemera, print material, video, fashion, and photography will be presented. Supported by grants from the Getty Foundation, Pacific Standard Time: LA/LA takes place from September 2017 through January 2018 at more than 70 cultural institutions across Southern California, from Los Angeles to Palm Springs, and from San Diego to Santa Barbara. Pacific Standard Time is an initiative of the Getty. The presenting sponsor is Bank of America. The ONE Gallery portion of Axis Mundo has reopened at ONE’s newly renovated, permanent gallery at 626 North Robertson Boulevard. The exhibition will remain on view simultaneously at the MOCA Pacific Design Center and the ONE Gallery through December 31. For more information on ONE’s future exhibitions, click here. You can also find an archive of past exhibitions here.